I’ve been able to maintain my beloved status as a book-a-holic even as a PhD student (and even while nearly suffocating under piles of required reading). Below, I provide several of my own favorites that I read this year. They are not in any particular order–I love them all, and there are many more that I really liked! I realize that the list also confirms my nerd status, but I’m willing to accept that in order to pass on the goodness. After my own list of favorites, I list other great books written or recommended by positive psychology gurus. 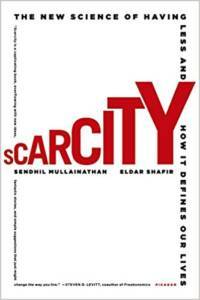 First on my list is Scarcity: The New Science of Having Less and How it Defines our Lives by Sendhil Mullainathan and EldarShafir. We’ve learned about growth mindset, stress mindset, and optimistic mindset–and now we can add scarcity mindset to the list. This book discusses fascinating new research suggesting that stress that triggers feelings of scarcity (in money, relationships, food, etc.) hogs up so much attentional bandwidth in our minds that fluid intelligence (IQ) declines. In other words, scarcity makes us dumber. The research has important implications for understanding the vicious cycle of poverty and tailspins caused by social rejection. 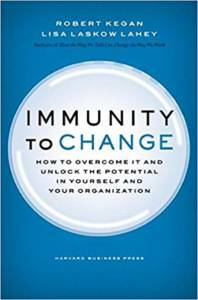 Next up is Immunity Change by Robert Kegan and Lisa Lahey Laskow. I’m going to be honest: This is not a thriller that will keep you on the edge of your seat. But it really influenced my thinking and I learned a ton. The books explores why we so often set goals for ourselves (e.g., I want to lose 20 lbs!) that we can’t achieve or don’t even get started on. We often have conflicting, legitimate (and often unconscious) goals that act as obstacles (e.g., my spouse will think I don’t appreciate his cooking if I don’t clean my plate). In Kegan’s and Laskow’s words, we have one foot on the brake and one foot on the gas–and we get nowhere. In some ways, the book reminded me of the positive psychology classic The Resilience Factor, which explains how “icebergs”–unconscious beliefs that are deeply wedged in our self-views–prevent us from growth and change. Kegan and Laskow outline strategies for individuals and organizations to work through conflicts that prevent us from making the changes needed to be our best. Professor Paul Zak (who teaches at Claremont Graduate University, where I’m a student – so cool! ), has become a world-class expert on the practical affects of the powerful hormone oxytocin. 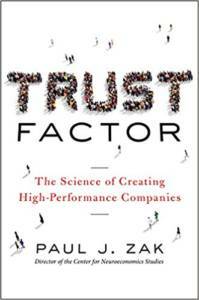 In his new book Trust Factor: The Science of Creating High-Performance Companies, Professor Zak relies on a growing body of neuroscience research to argue that trust–fueled by oxytocin–is at the heart of effective organizations. He provides practical strategies for building trust to, in turn, build optimally functioning teams and organizations. I found it fascinating and liked how it complemented (and gave a neuroscience explanation for) other work in positive psychology, including, for example, Dr. Jane Dutton’s work on high-quality connections and compassion in the workplace. I am not a natural at meditation. I wish I was; but I’m just not. The result is that, like a good positive psychology student, I’ve struggled for years to try to develop a regular practice. But without much improvement. My rational lawyer brain likes evidence and data as motivational fuel, and that’s what Altered Traits (by Daniel Goleman and Richard Davidson) provides — motivational fuel to keep up my efforts. 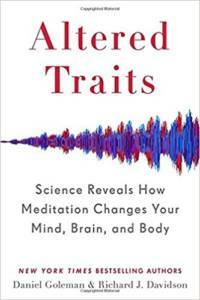 The book is filled with the best research establishing important benefits of meditation of all types. I’d suggest starting at Chapter 6 unless you’re interested in the personal histories of the authors (I was not). Related to my failure as a meditator is my entrenched habit of multi-tasking. 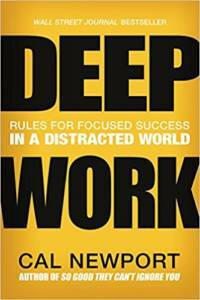 I picked up the book Deep Work by Cal Newport with much skepticism, believing that I was the exception to the stop-multi-tasking rule who could productively and effectively multi-task without undermining quality or my own well-being and attentional capacities. Much to my surprise, this book changed my mind and catalyzed an effort (baby steps) to change my behavior. I do think the book is longer than it needs to be, and parts didn’t feel relevant. But, overall, the book was important and significantly impacted my thinking and behavior. What bigger compliment can you give a book? I was amazed and proud to see how many of my colleagues from the University of Pennsylvania’s Masters of Applied Positive Psychology (MAPP) program published books this year. So exciting and cool! I have read most of them and also know all of the authors and can attest to their general awesomeness and commitment to sharing good science to make the world a better place. I hope to get to finish reading all of them early in the new year! 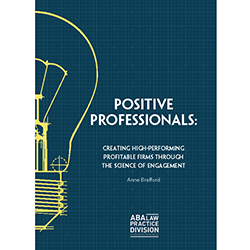 Anne Brafford, Positive Professionals: Creating High-Performing Profitable Firms through the Science of Engagement. Ok, so I’ve read this one. Many times. And I considered putting it on my Top 5 Favorites list, but the lawyer in me thought it might be a conflict of interest. My book explains the science of work engagement and a multitude of strategies for building it in the workplace. The heart of the book is the experience of meaningful work–which is a key driver of engagement. Although the book is written by a lawyer (me!) to law firms, the science and strategies are applicable to all types of organizations. (Discount code available through December: PP17). 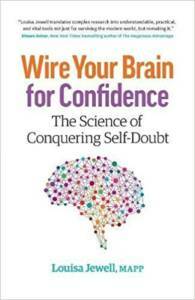 Louisa Jewell, Wire Your Brain For Confidence: The Science of Conquering Self-Doubt. Louisa’s book can help anyone who battles with self-doubt but, what I’ve read so far seems tailored especially for women. Too often, women’s self-criticism and questioning of their abilities prevent them from stretching and growing and becoming their best. Louisa offers strategies to make confident thinking a habit. 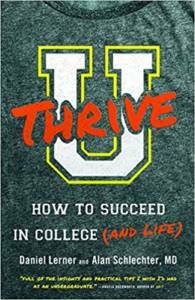 Dan Lerner & Alan Schlechter, U Thrive: How to Succeed in College (and Life). 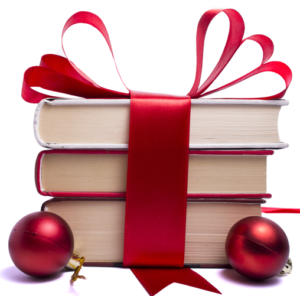 As a holiday gift or part of a new-semester care package for your favorite college students, this new book constitutes a tool kit of positive strategies. It gives science-backed, practical advice for surviving and thriving in college. Caroline Miller, Getting Grit: The Evidence-Based Approach to Cultivating Passion, Perseverance, and Purpose. 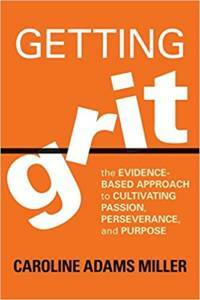 Caroline’s new book is filled with goal-setting research and strategies that can contribute to grit. It’s a useful guide to help set and keep new year’s resolutions so that you can have the best year yet. 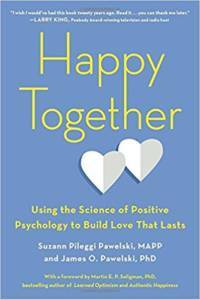 Suzann Pileggi Pawelski & James O. Pawelski, Happy Together: Using the Science of Positive Psychology to Build Love That Lasts. Suzy’s and James’ book isn’t released yet (coming January 16!) but it’s one we won’t want to miss. Who doesn’t want to build better relationships with their significant other? Meg Warren is an awesome human being and fellow PhD student in positive organizational psychology at Claremont Graduate University. 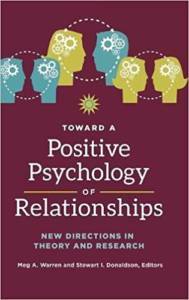 She and my research advisor, Dr. Stewart Donaldson, just edited a new book to advance the theoretical thinking about positive relationships called Toward a Positive Psychology of Relationships: New Directions in Theory and Research. I asked a few luminaries of positive psychology to recommend a book that was transformational for them or that they consider a “must read” for anyone wanting to understand human thriving. Here’s what they said. Abraham Maslow’s The Farther Reaches of Human Nature. I’ve just started to read this book and find it energizing. Also interesting: When I was Mike’s Teaching Assistant, he told me that Zen and the Art of Motorcycle Maintenance (one of my all-time-favorites and very transformational for me) influenced his thinking on flow. I couldn’t believe it! It seemed like fate that I would end up working with him. I recently learned that Zen also was an important book for other positive psychology super stars–Marty Seligman and Barry Schwartz. For years, I read it yearly and should go back to it again soon! Matt Lieberman’s Social: Why our Brains are Wired to Connect: A must read to understand why human connection is so important for human thriving. Scott Sonenshein’s Stretch: Unlock the Power of Less -and Achieve More Than You Ever Imagined: Explains how to unlock resourcefulness–which is a different take on the route to thriving. Marcus Aurelius, Meditations: To learn how to regulate your thinking and emotions. Dale Carnegie, How to Win Friends and Influence People: To stop doing the automatic things we do during social interactions, and actually do things that improve relationships. During a recent MAPP class, Jonathan also recommended How to Have A Good Day by Caroline Webb. He uses it in a course for business students and said its been very popular. Adam reported his top 10 books for 2017 in a LinkedIn article–which included Emily’s book, The Power of Meaning. 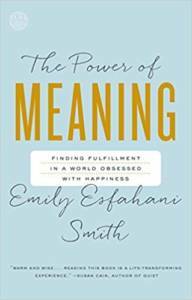 The editors at Berkeley’s Greater Good Magazine chose 13 of their favorite books from 2017, including Emily’s The Power of Meaning and a few other books listed above.